See those fuzzy black legs in the corner there? That’s my Aggie! 2015 Summer was her last and seeing these pics really, really made me happy! I never got around to getting this tutorial together and posted and I almost passed it by again until I saw those little black elf feet! 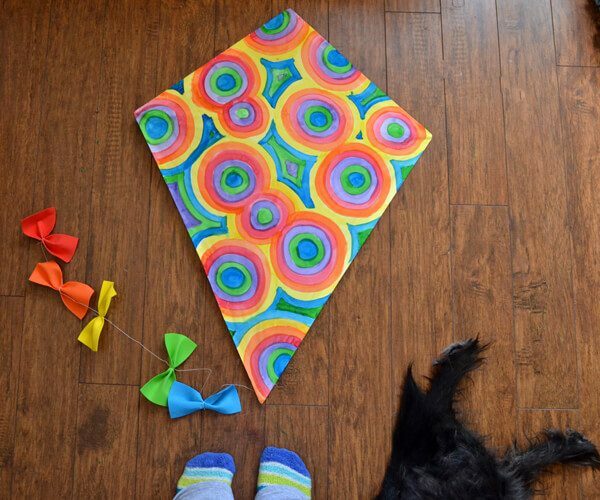 DIY paper kites are super easy and super fun. It’s also cheap as all get out. 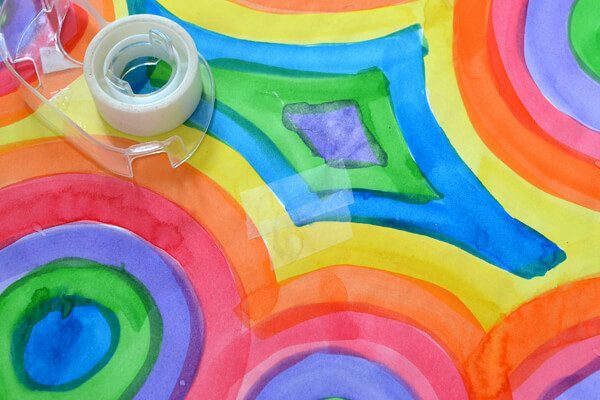 Plus kids love decorating something they’re going to use. Now because I didn’t want my little nephews handling a hacksaw, no matter how tiny it was I made 3 kites and we all decorated them together one day. Now I cannot find pics of their kites and I guess they took theirs home with them but I found mine in the front hall closet while I was packing. If only I had found some string I would have taken a little break and watched that baby sail! 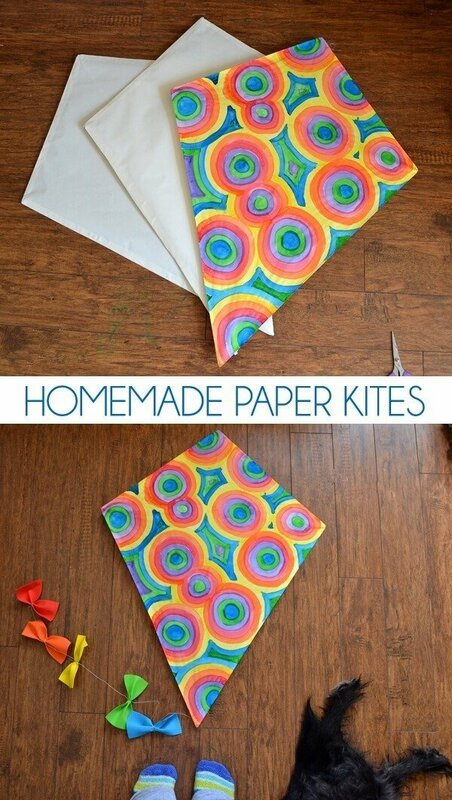 Let’s make some paper kites, shall we? 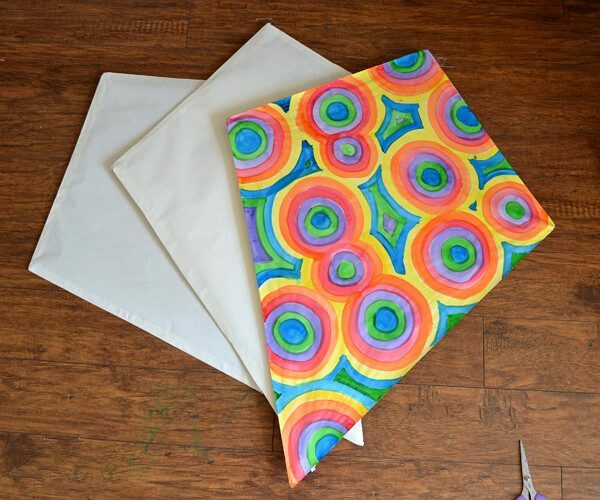 First things first, we need a diamond shape to put our paper on and form our kite body. 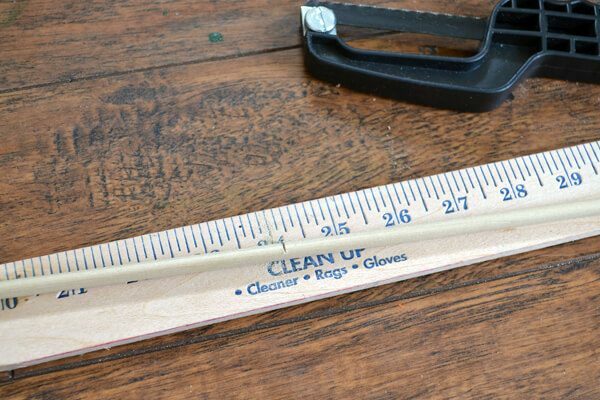 Take your dowels and cut one 32″ and one 24″ piece. On all four ends use your saw (I used a tiny one I got from Walmart) and make notches like you see above. Make the notches go the same way on both ends! This is pretty dang important! 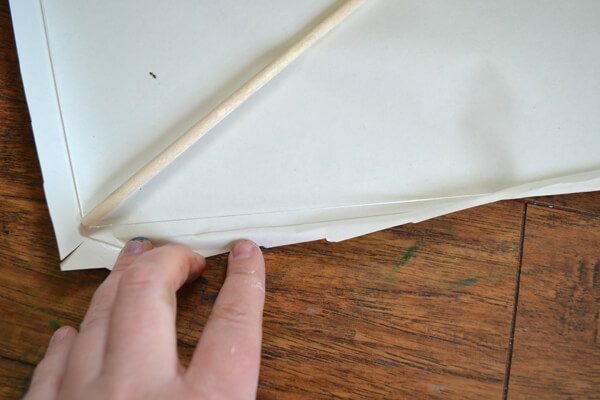 Grab some of that kite string and place your two dowel pieces together to make the shape of a cross about 10″ down on the longest of the two dowels. Lash the two together tightly. And don’t be shy. I used a huge knot of string to make sure mine were nice and sturdy. 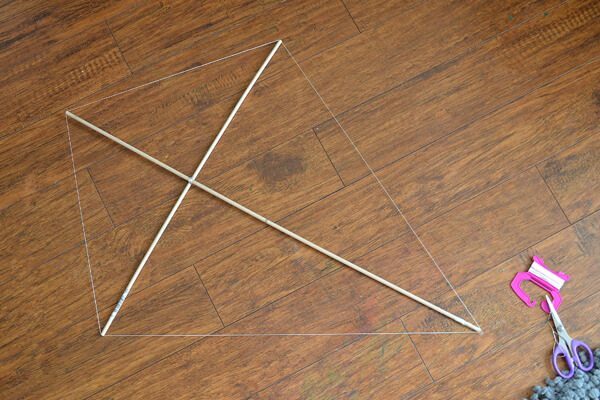 Run kite string from the end of one of your dowels to 1.5 – 2″ in. 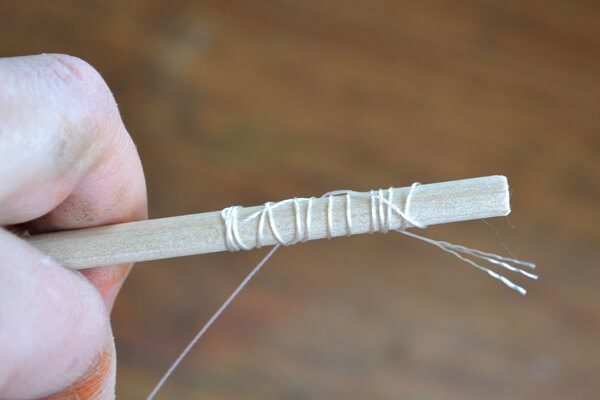 Go back over it winding your kite string tightly down to get back to the end of the dowel. Reinforce with tape. 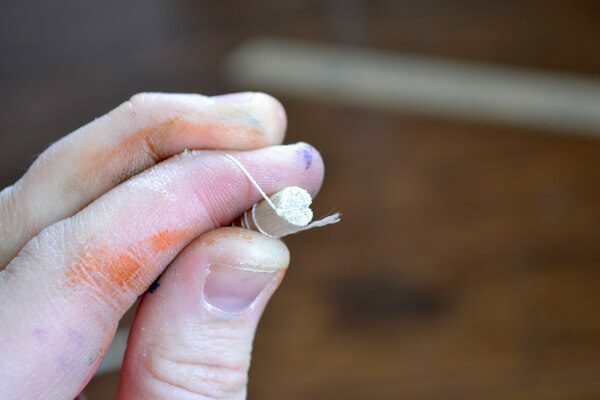 Run that string through the notch on the bottom of that dowel end you just wrapped up. Go around running that same, long piece of kite string (working directly off of the roll is highly recommended) through the notches of the other 3 ends. 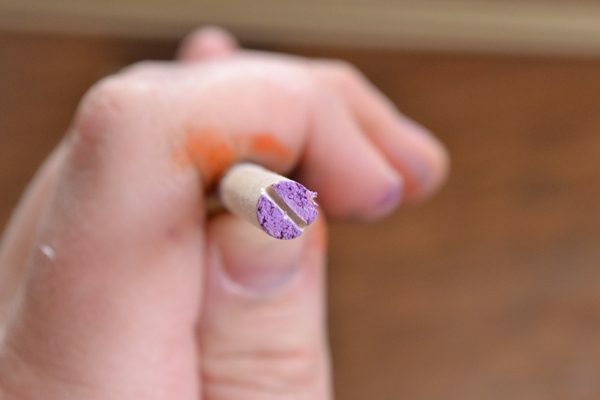 Come back to that first dowel and wrap string back up the length of the dowel. Knot or tape to secure. When you’ve completed that, you have your diamond! 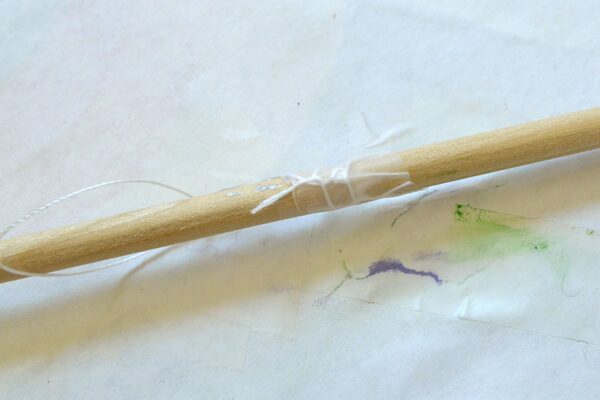 Even though you lashed your two pieces together tightly with string it will still move around a bit. Finagle until you have a nice, symmetrical diamond shape. 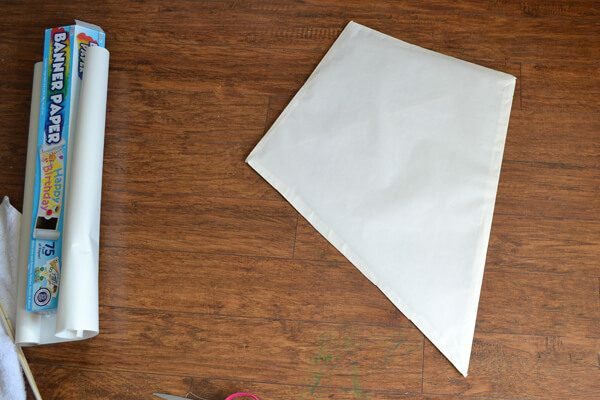 Take a large piece of paper and trim about an inch around all sides of the kite body to make a paper diamond. 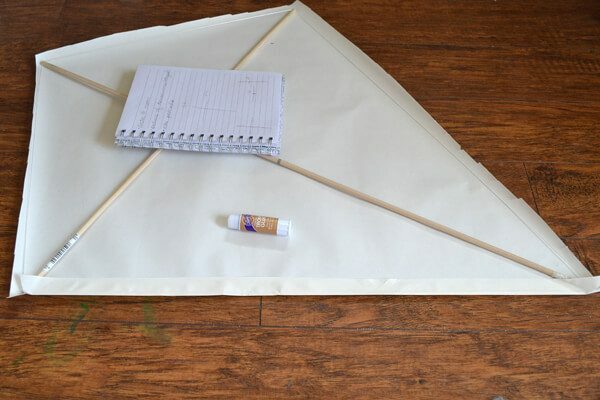 Start on the right of one side and start to glue down your paper OVER the kite string using your glue stick. The better the glue stick the better this guy will stick together, FYI. I used Aleene’s Tacky Glue stick and it worked wonderfully well. 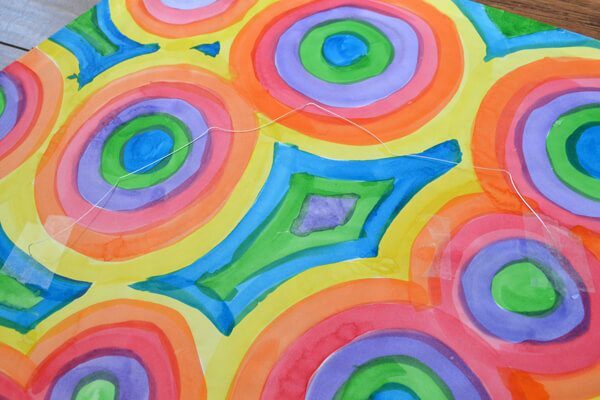 Cut notches at the corners and continue wrapping the all the way around the diamond shape. Don’t be shy with the glue. Really get it on there. And look at that! 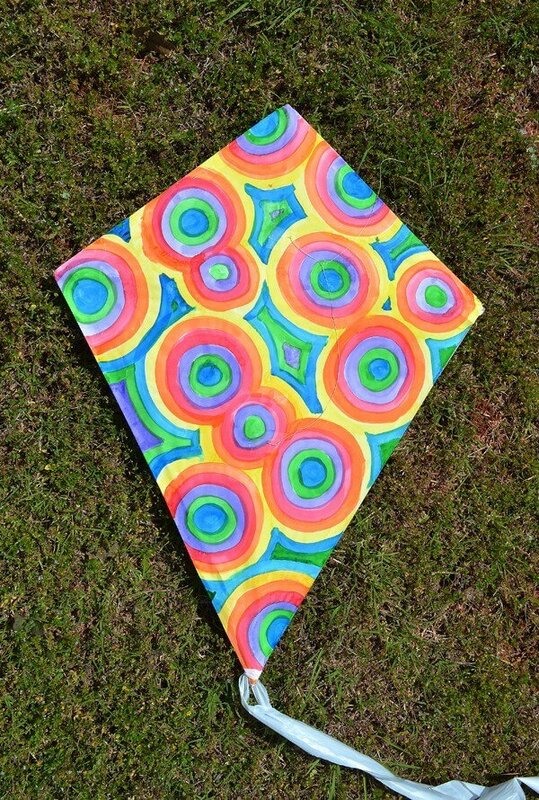 It’s diamond paper kite! Decorate it however you please. 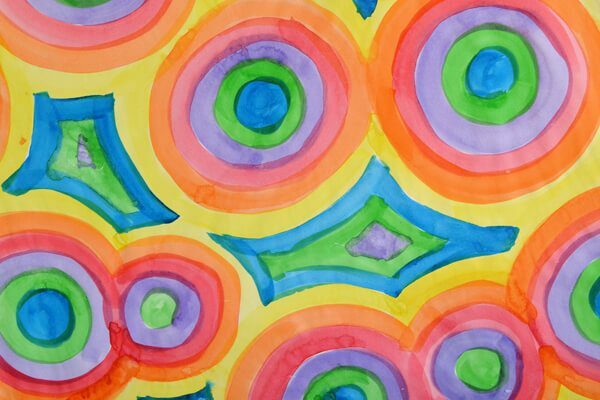 I made a simple pattern using watercolors. And let the kids decorate their own how they please! 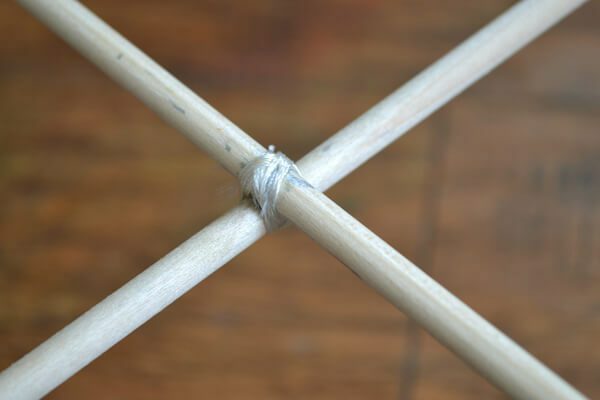 Place a piece of clear tape (or a few) to reinforce the paper right above the intersection for the cross of the two dowels. Do this on both the outside and inside. …wrap around the towel and tie off. Use tape to really secure. Push the needle back through to the front side of the paper. 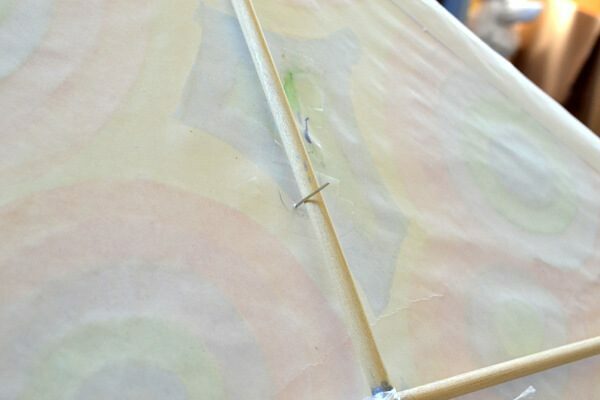 Repeat with tape and needle punching that same piece of kite string through a few inches to the left and right of the center, long dowel. End the string back to where you first attached the string. Tie and tape to the dowel to finish and secure. This piece of string is your bridle. Attach the end of your kite string (on the roll or plastic holder) to your bridle. You’ll need to make a sail for effective flying. I first tried to make a cute ribbon tail like you see on TV :) but it didn’t work out. I had hoped it would but it didn’t. 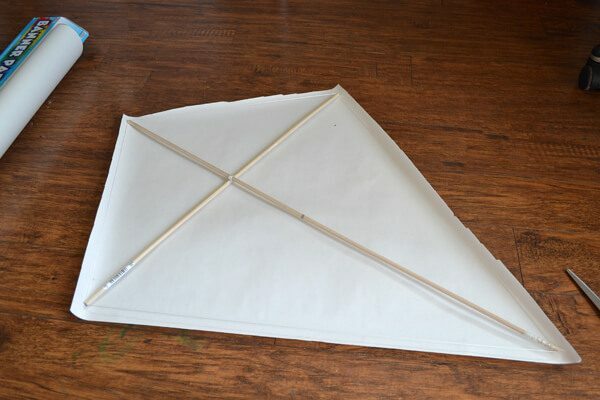 What did work was to take a trash bag and cut a continuous strip at least 5 times bigger than the height of the kite. At 32 inches tall that made my tail 160″. Now go outside and enjoy a beautiful day with some beautiful littles!